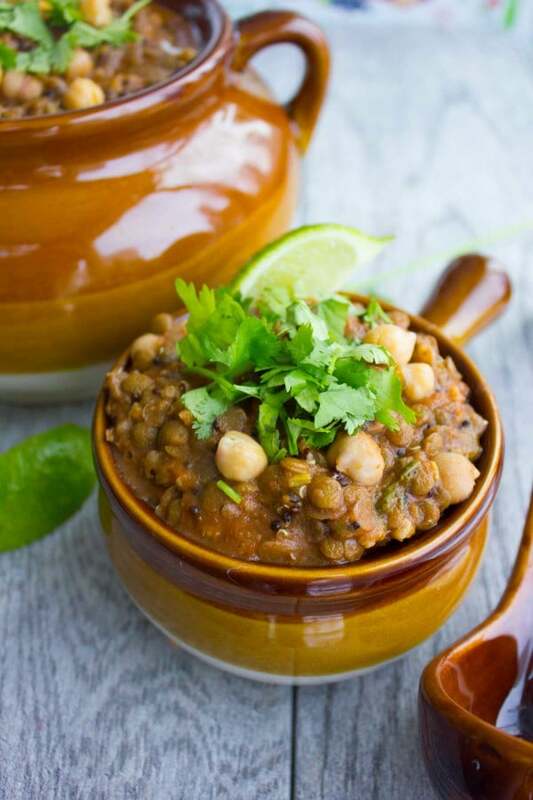 Harira soup is a warming and hearty Moroccan bean and lentil soup that’s especially popular during Ramadan. This vegetarian and gluten-free recipe uses nutritional powerhouses like lentils, quinoa, chickpeas and navy beans making this meal extra healthy. 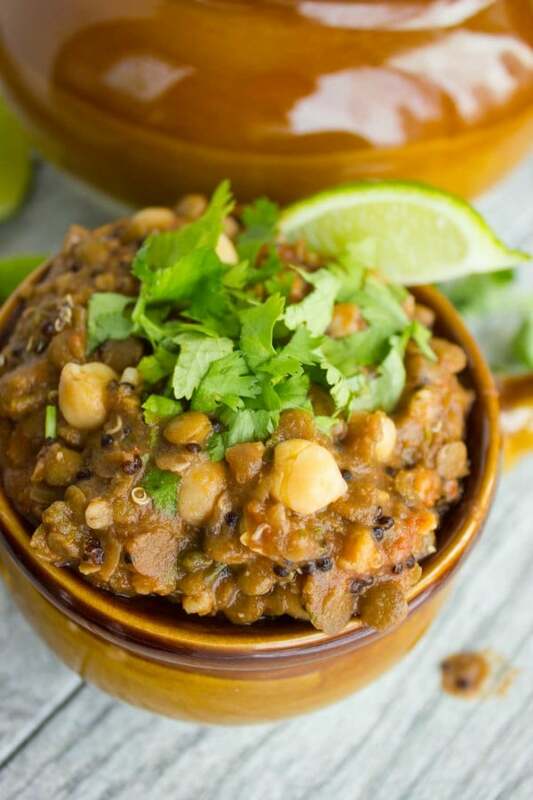 This Moroccan lentil soup aka. Harira Soup is a hearty fulfilling soup that combines brown lentils, navy beans, chickpeas and barley in a thick tomato-based broth. It’s a one pot soup that can actually be a full meal! I’m done with Holiday foods for now. No more cranberries, snacks, roast turkeys, potatoes – I absolutely need some SOUP. And with our winter starting to pick up, I’m all for a heartwarming thick hearty soup! 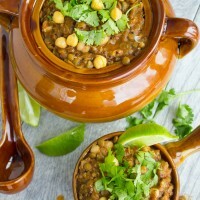 Enter Moroccan lentil beans soup. The very first time I had this soup, it was love at first taste! About 17 years ago we were living in Jordan, and we hired a Moroccan chef. 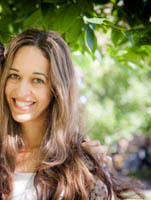 She was very passionate and creative when it came to delicious Moroccan food. I was very fond of her, I remember staring at her as she toasted whole spices, assembled tajines, baked small round flatbreads every day and meticulously crafted a variety of tiny sweet almond delicacies. There’s much to admire about Moroccan cuisine. A tradition in all Moroccan homes is this soup called “Harira”. The combination of beans and types of lentils may vary and the tomato flavored broth may be stronger or weaker. One common thing for sure, is that this soup is a staple in all homes as the ultimate Moroccan comfort food. I’ve made this Morrocan Harira Soup vegan and gluten-free by adding in some black quinoa instead of the barley, used a combo of brown and green lentils, and added navy beans and chickpeas. The beauty of this hearty lentil soup is it doesn’t need any thickening agents. As the lentils cook they will thicken and lend much flavor to the tomato-based broth. Guys, this is the ultimate Morrocan comfort food and the perfect warming an satisfying soup for cold fall and winter days. Heat a large pot over medium-high heat and add in the olive oil. When the pot is ready, add in the onions and red pepper and sauté over medium heat with a pinch of salt until they soften up. At this point, add the garlic and keep sautéing for another minute until the mixture is really fragrant. Add the spices to the onion mixture and sauté for a few seconds to bring out the flavours of those spices. Then add 1/4 cup each of the chopped parsley and chopped cilantro. Toss in your lentils and mix them in. Sauté for another 30 seconds, then add the tomatoes and broth and season the soup with salt. Place the lid on the pot and wait for the mixture to come to a boil. Once it does, lower the heat to medium-low and allow the lentils to fully cook, which may take anywhere from 45 minutes to an hour depending on the type of lentils. Halfway through, add the quinoa ( or barley, if using) and let the Harira Soup cook for another 20 minutes or so. Once lentils are cooked and tender, add the beans of your choice and allow them to simmer in the soup for about 3 minutes. When the Harira soup is done, turn off the heat, taste and adjust the seasoning by adding some salt and pepper, chopped parsley and cilantro. Add a squeeze of lemon and enjoy! Use quinoa instead of barley to make this Harira Soup gluten-free. Choose any type of lentil you prefer, adjusting the cooking time accordingly. Adjust the amount of vegetable broth to make a thicker or thinner soup. 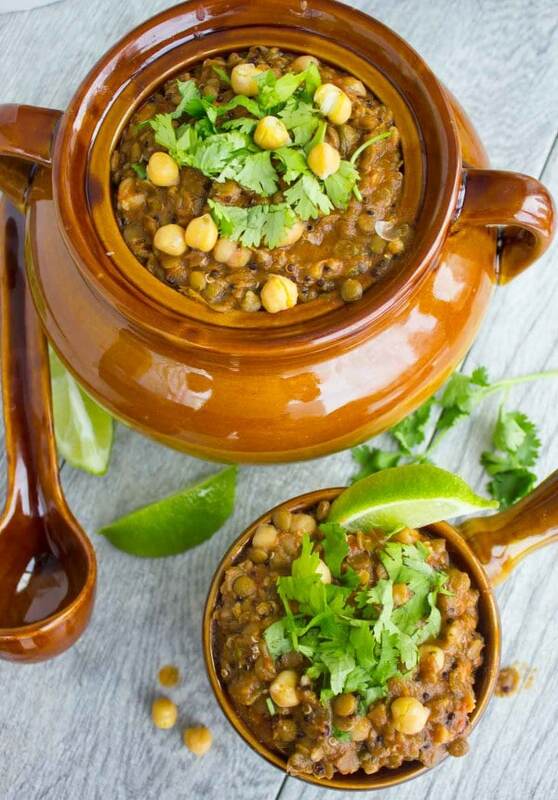 Harira soup is a warming and hearty Moroccan bean and lentil soup that's especially popular during Ramadan. This vegetarian and gluten-free recipe uses nutritional powerhouses like lentils, quinoa, chickpeas and navy beans making this easy soup extra healthy. Heat a large pot over medium-high heat and add in the olive oil. When the pot is ready, add in the onions and red pepper and sauté over medium heat with a pinch of salt until they soften up. At this point add the garlic and keep sautéing for another minute until the mixture is really fragrant. Then add in your lentils and mix them in. Sauté for another 30 seconds. Add the tomatoes and broth and season the soup with salt. Place the lid on the pot and wait for the mixture to come to a boil. Once it does, lower the heat to medium-low and allow the lentils to fully cook (this may take anywhere from 45 minutes to an hour depending on the type of lentils). Halfway add the quinoa ( or barley, if using) and let them cook with the lentils for the remaining 20 minutes or so. When the soup is done, turn off the heat, taste and adjust the seasoning. And throw in the remaining chopped parsley and cilantro. Mahy, just gorgeous recipe, I do very much, and cooking description and photo of the finished dish, thank you, continue in the same spirit. I found there wasn’t enough fluid in this recipe. I added a cup and a half extra of water and it still wasn’t enough. The recipe also needs to be more clear on when to add the chickpeas specifically. Hi Amber, this soup is more of a stew consistency than a runny soupy one–as you can tell from the photos 🙂 However it’s totally personal how thick or thin you like it, so adding more water towards the end is a great way of adjusting that! 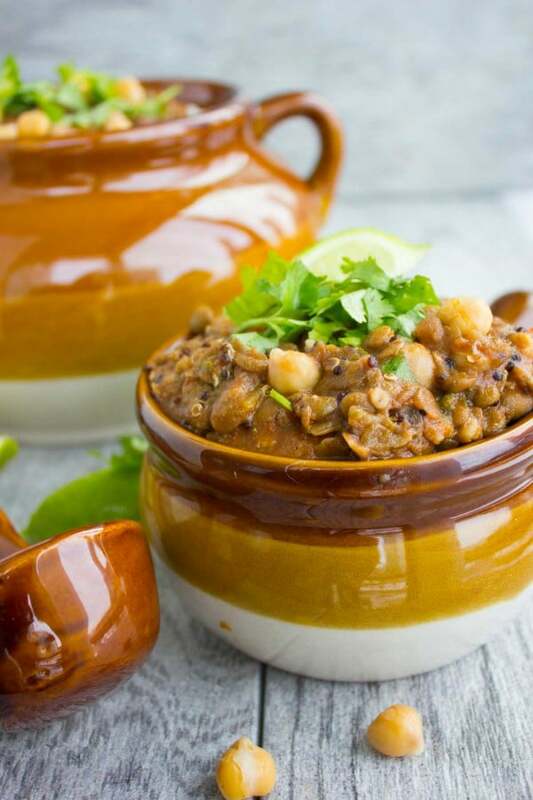 The chickpeas I mentioned are added towards the end (point number 8)–I mentioned adding all beans (you can add navy beans, black beans, or any other beans too).